Need a sublease for fall semester, 2019. Large 5 bedroom house with 4 other really nice and fun girls! Off street parking, snow removal included along with enough spots for all 5 cars. You can move-in in June if you'd like. Otherwise I will need a sublease beginning in August. I will be back for spring semester 2020 and would need to be back in the house at the end of January. Let me know if you have any questions! Subleaser needed ASAP-May. One-bedroom open in a two-bedroom apartment. Rent is $409 a month plus about $50 in utilities. 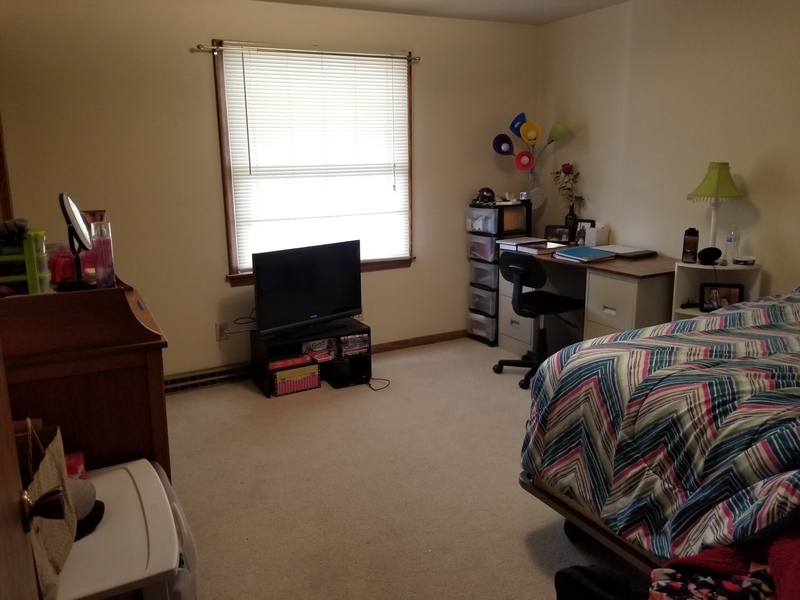 4 minute walk to UWEC, 4 minute drive to CVTC, and walking distance to downtown. Room is very spacious with a big closet. Off-street parking in a private parking lot, washer dryer in unit, heat and a/c, living with one other female. Street Address: 1215 State St. 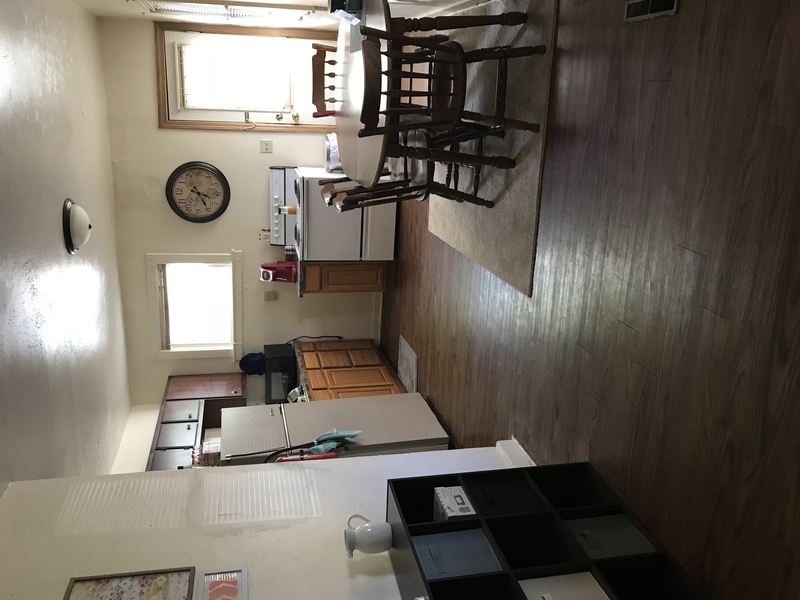 Looking for a sublease for a 3 bedroom apartment in spring 2019. Rent is $350 + utilities but willing to negotiate that price.  There is an off street parking lot, a brand new kitchen, new carpets, a very spacious bedroom with two windows and a big closet, private three season porch on the back of the house, and a private locking storage unit in the basement. You’d be living with 2 other UWEC female students. This one bedroom apartment is in need of a subleaser. I will need the apartment subleased during the second semester starting in January, 2019. I'll be studying abroad spring semester and need somebody to sublease for me. 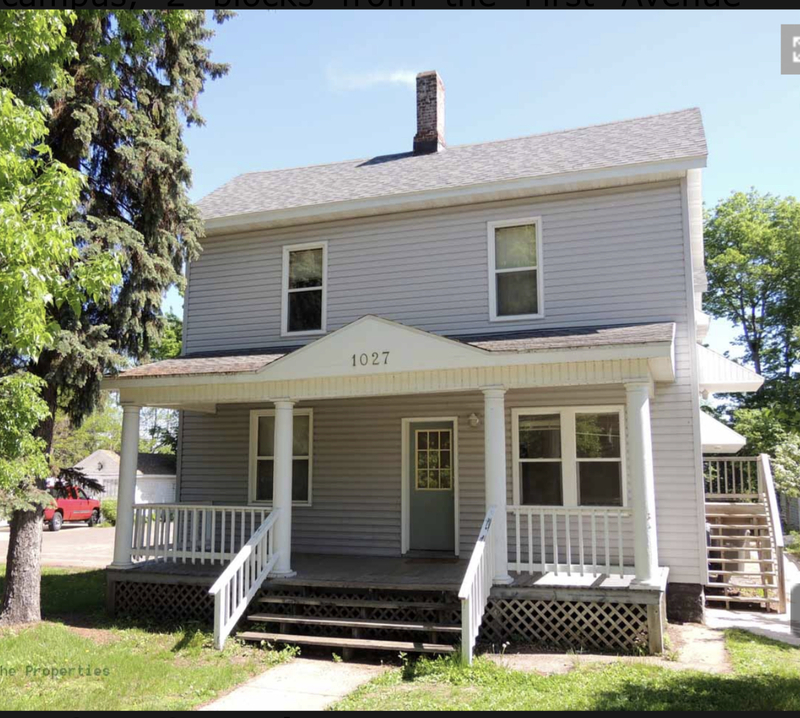 You'd be living with 3 other roommates (2 boys 1 girl) in a 4 bedroom 2 bathroom house on Niagara Street, about 10 minutes from the UWEC campus. I would be leaving my two dressers, nightstand, and bed/mattress in the room for use while abroad. The house also includes off street parking. I will be transferring schools so I am looking for a girl to take over my lease for the school year of 2018-2019. It's a 5 bedroom, 2 bathroom house on water street with easy access to the business' and not to far from campus! You would be living with 5 other awesome and chill girls. I'm not sure if the pictures show up, it's giving me issues but contact me at 651-900-9158 if you're interested and I will show you pictures and you can meet the girls you'll be living with! Looking for one female to sublease for me as I am transferring schools in the fall! 3 bedroom 3 bathroom apartment (would have 2 female roommates). Rent is $475 + electric (estimated $15 additional per month). Private laundry, water, heating and air conditioning, appliances (fridge/ freezer, stove/ oven, microwave, dishwasher, and sink) free off street parking, free fitness center, lounge area, free WiFi, and building has secured entrances. Less than 2 miles from both CVTC and UWEC campuses! Looking for a male student attending UWEC who still cannot find a place for next school year. I will be transferring universities and unfortunately can no longer live in this location. Roommate enjoys the party scene. On-site laundry ($10 a month). Electric and heat not included with rent. One car garage included and off street parking. Basement storage. Walking distance to campus and downtown. 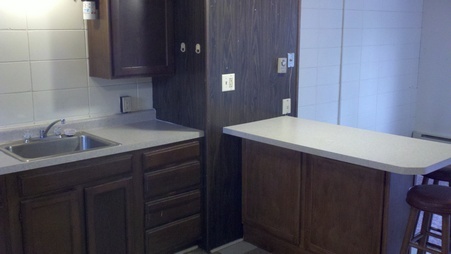 RENT: $290 a month plus utilities (estimate around $350 at most). Sub Lease Available from 6/1/18 - 8/31/18. Rent covers gas, water/sewer, garabage/recycling, off street parking, and lawn care. There is a seperate electric bill that will be charged monthly at a varying rate based on sub leasers usage. Looking for up to 3 people at $350/Person. The property is an apartment located within a house that is comprised of 4 entirely seperate apartments. If you have additional questions or are interested in leasing, please contact me at huntlejk1084@uwec.edu! I am looking for a subleaser between the months of June and August (6/1/18 - 8/31/18). 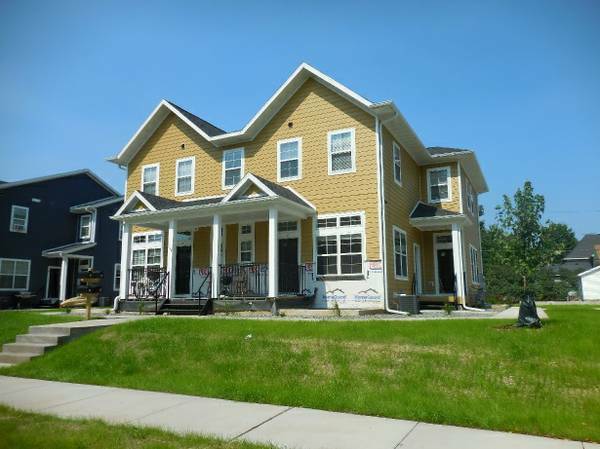 The property for sub lease is located within a larger house consisting of 4 entirely seperate apartments. The price of the sub lease ($350/Person) covers gas, garbage/recycling, water/sewer, off street parking, and lawn service. Heating/Cooling and hot water are in a seperate electricity bill. If you are interested, please contact me at huntlejk1084@uwec.edu! Move in before the spring semester starts. Garbage/trash/snow removal included in rent. On-site laundry, built in dresser and shelves in the closet, garage, and only a 5 minute walk to campus!